If you’re looking to expand your horizons beyond the big box craft stores, I’d like to introduce you to LocalHarvest, a website where you can find and support local farmers. You can search for CSAs, farms, farmers’ markets, local events, and also shop online from farms all over the US. I first discovered LocalHarvest when I wanted to find some luffa seeds, which I easily found in the shop section. Here are my luffas happily growing this past summer. Our directory lists over 30,000 family farms and farmers markets, along with restaurants and grocery stores that feature local food…Every year, over 7 million people search our directory to find local food, farm events, and family farmer-grown specialty products. Besides local food, farms and events, LocalHarvest has lots of listings for fiber and yarn, including fiber CSAs. I know crafters are passionate about what they do. Knitting up a hat or crocheting a cowl that is factory free is a way for us to help bring about the better world we want to live in. That’s why I think the local directory and the shop on LocalHarvest are a huge asset to the crafting community. Having it searchable in one place just makes it that much easier to use sustainable fiber and connect with and become involved with your local fiber community. When I entered in my zip code and searched for yarn I found 6 local yarn supplier listings, 4 of which are Alpaca farms and most of which are open to visitors. Can you say homeschool field trip?! Entering in my zip code in general brings up tons of listings, and I just discovered that my local farmers’ market has a Facebook group, woohoo! If you like shopping from home or need a wider selection, check out the shop section. Searching for yarn in the shop, you will find 24 pages of listings with lots of alpaca, wool, mohair, roving and even some drop spindles for spinning yarn. Crafting has made me think a bit more about where our stuff comes from. 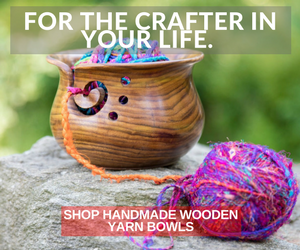 Resources like LocalHarvest help us be a little more responsible about the impact working with yarn can have on the environment and gives us the push to go out there an meet some fellow fiber enthusiasts. Have you made the jump to discover and support more local sources of fiber? Let me know in the comments. Use this image to pin or repin here. Yarn image credit: Lori Ann on Flikr, creative commons license. Thanks for stopping by! Let’s connect: Subscribe to be notified of new posts, and join me on Instagram , Pinterest, Facebook, G+ or Twitter. This is very useful. I never would have thought of finding wool this way. It is a an awesome source for homeschooling excursions, thanks for sharing! You’re welcome. I can’t wait for the spring to take the kids to visit some farms too. Wow this is so cool! I have been thinking about taking my children apple picking for a while now. This site will help me comb through all the nearby farms. Thanks so much for sharing! Yes, I think you will find lots. You can sign up for the site to notify you of uncoming events, too. Thanks for checking it out.